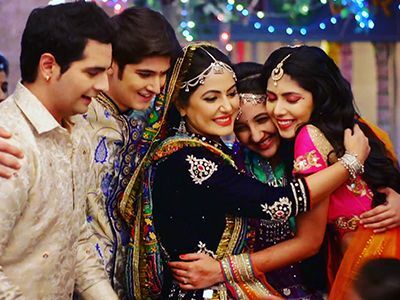 Popular television actress Hina Khan- of Yeh Rishta Kya Kehlata Hai- has always given bizzare answers when asked about her romantic liaison with her show's former supervising producer Jayawant (Rocky) Jaiswal. The love story got bolder when the couple went holidaying to Goa and stayed together in Morjim's Le Cabana Hotel ( Hina Khan's Rendezvous with show's ex-producer in Goa, Oct 28). The bond has grown stronger now. Rocky is believed to have started a production house, courtesy Hina. You know what we mean, naam kisi ek ka, paisa kisi doosre ka. Buzz is, Rocky has even finalised his first production- a Bengali film. Time to admit Hina. Is Rishte Ko Kya Naam Doon?